GUIER, (Date Unknown), A church, not far from Padstow in Cornwall was named for this hermit priest, of whose life we have no further details. Some sources posit that Guier is merely a spelling variation of Gwerir and the St. Guier is the same saint as St. Gwerir (vide infra). GWERIR, (Date Uncertain), An anchorite near Liskeard in Cornwall, England at whose grave site King Alfred the Great (r. 871–899) was cured of a serious illness. Following St. Gwerir’s repose, St. Neot (31st July) occupied his cell. HILDEBERT, Abbot of St. Peter’s Abbey (Sint-Pietersabdij) in Ghent in Flanders. St. Hildebert was martyred in 752, by Iconoclasts for his defence of icons. ISIDORE of SEVILLE, the brother of SS. Leander (27th February), Fulgentius (16th January), and Florentina (20th June). After succeeding St. Leander as Bishop of Seville in 600, he presided over several Councils, reorganised the Spanish Church, encouraged monastic life, and completed the Mozarabic Rite. St. Isidore was a prolific writer with many of his books still extent. 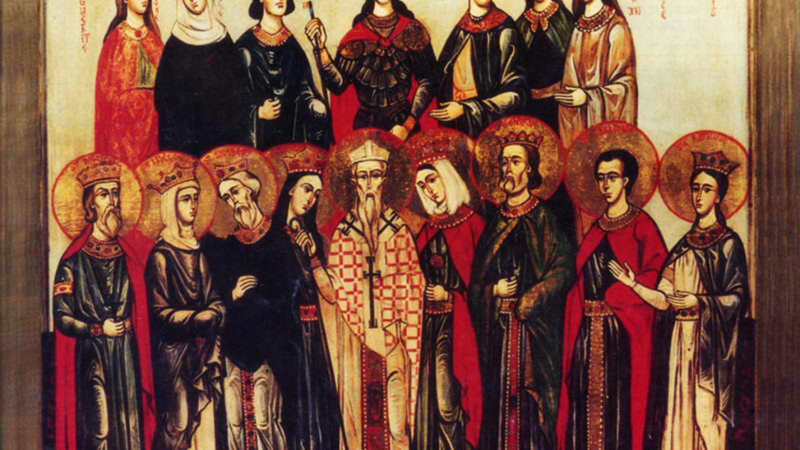 In 619, St. Isadore convoked the Second Council of Seville, and in 633 the Fourth Council of Toledo. St. Isidore reposed in 636. TIGERNACH (TIGERNAKE, TIERNEY, TIERRY), Successor of St. Macartin (24th March) as Bishop of Clogher and Abbot of Clones, he is the patron saint of Clones, Co. Monaghan, Ulster. While the details of his life are vague at best, it seems he had been a disciple of St. Ninian (26th August) prior to being elevated to Bishop. It is said he lost his vision in his later years and thenceforth devoted his life in prayer and contemplation. St. Tigernach reposed in 549.